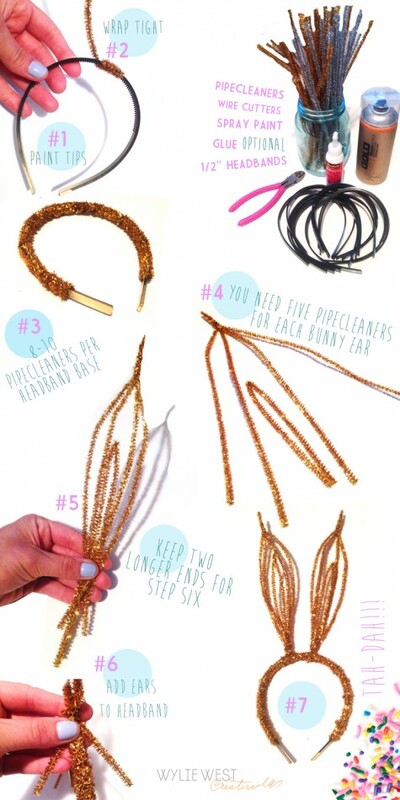 INCREDIBLE idea for simple bunny ears created Rebecca Simms of Wylie West Creative. I’ve been collaborating with this talented bunny on a project I can’t wait to share with you all soon. 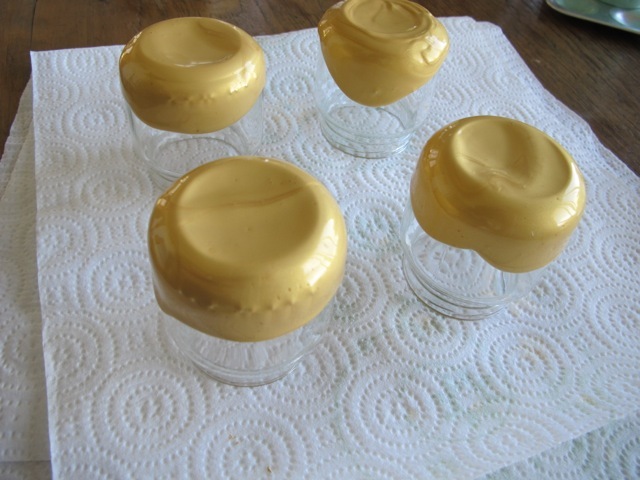 Check out her style and design portfolio and other fun DIY projects. Who doesn’t want a little sparkle on Easter Sunday? Friends! 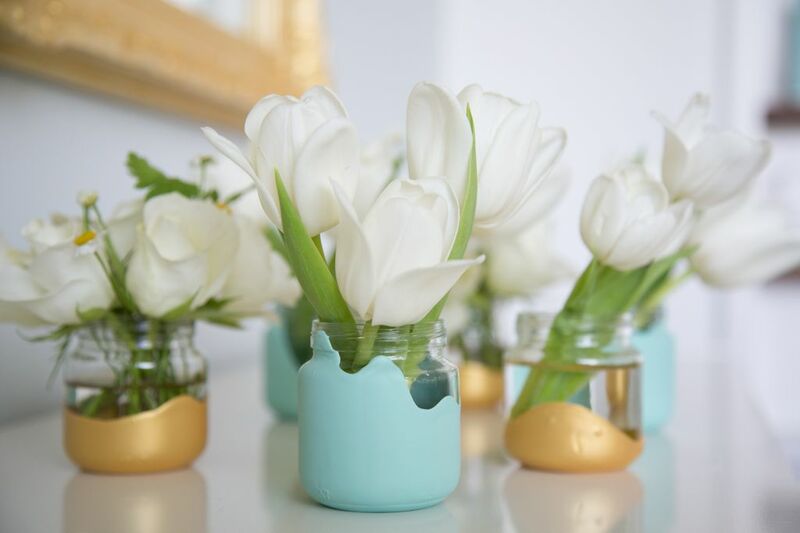 We hinted at it last week with our baby food jar bud vases but the big new is that wrote an article about hosting a Sip & See party for PaulaDeen.com! We are just thrilled to be talking Southern traditions on the same site as the Queen of Southern cooking. Check the story here and please leave us a comments (so Paula knows you stopped by). 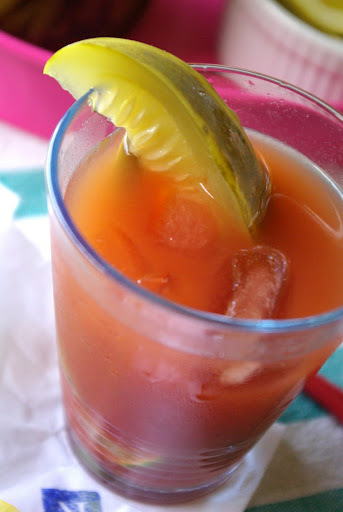 Have you been to a Sip & See? Have you ever hosted one? We want all the details. 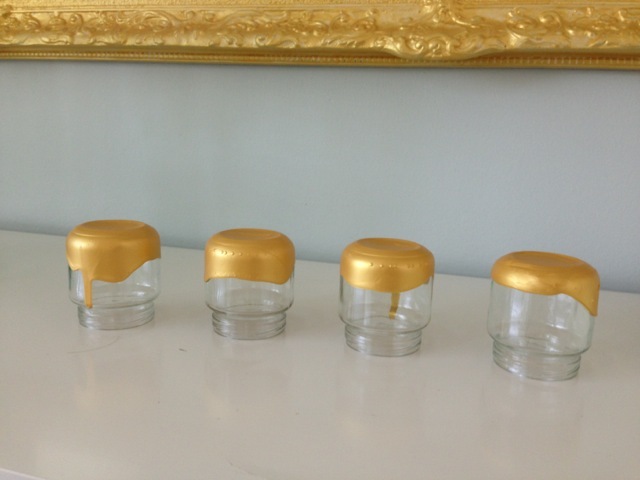 I paint dipped some baby food jars for a article we wrote about How to Host a Sip & See Party and am now obsessed with the technique. 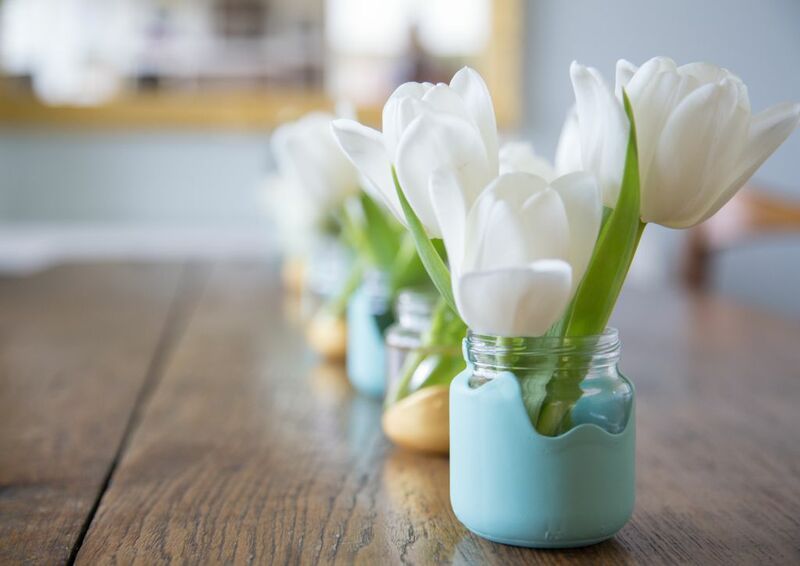 Baby food jars make darling bud vases for any baby related celebration. 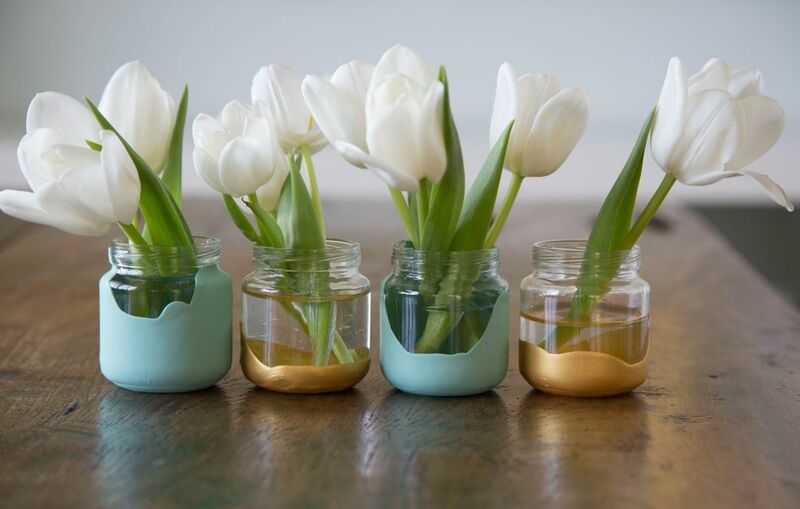 Dipped in a thick layer of latex paint they look elegant and sophisticated, like grown up vases. Below is a step by step “How To” tutorial should anyone want to try this at home. 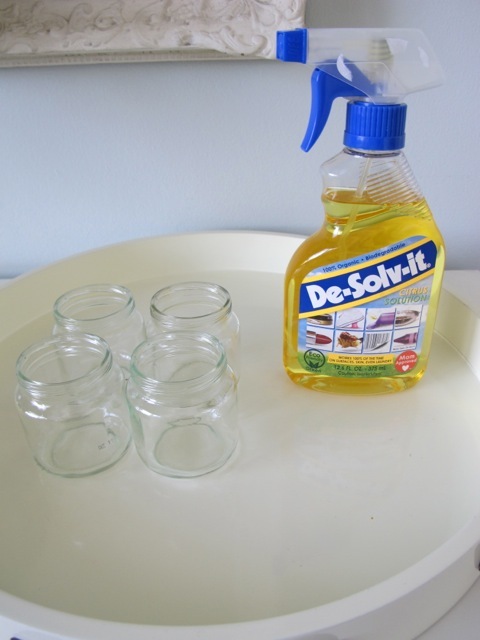 Use a strong cleaner to get the labels and glue off the jars. Wash and dry well. 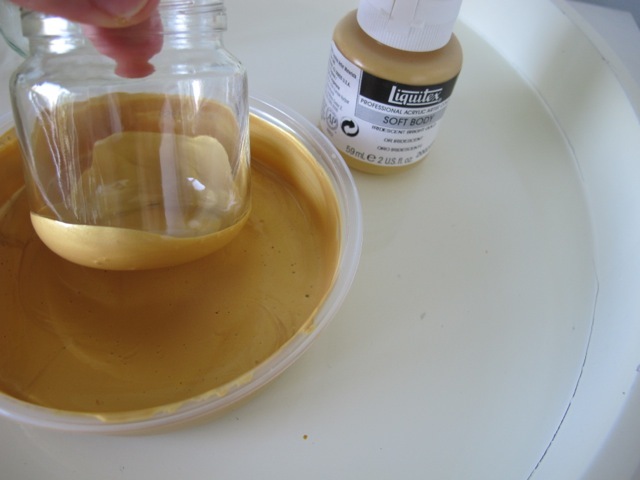 Place your chosen color of latex paint in a shallow disposable container. 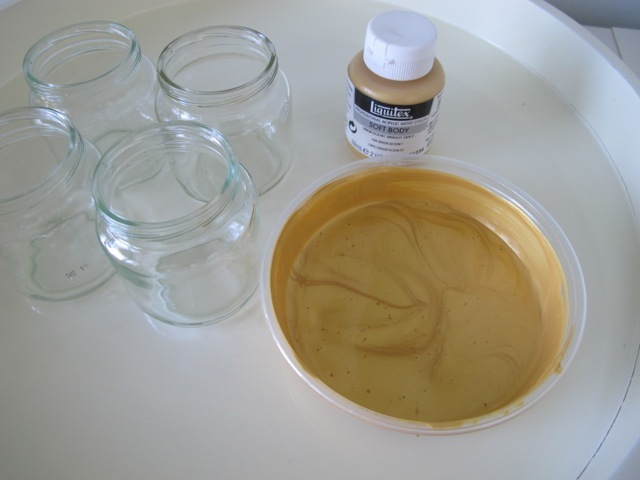 Dip the base of the clean jar in the paint and start swirling it around. I like them to look a little uneven so I made some sides higher, you can easily go for a uniform look. The finished product! I love the drips and imperfections. Repeat with any other colors. 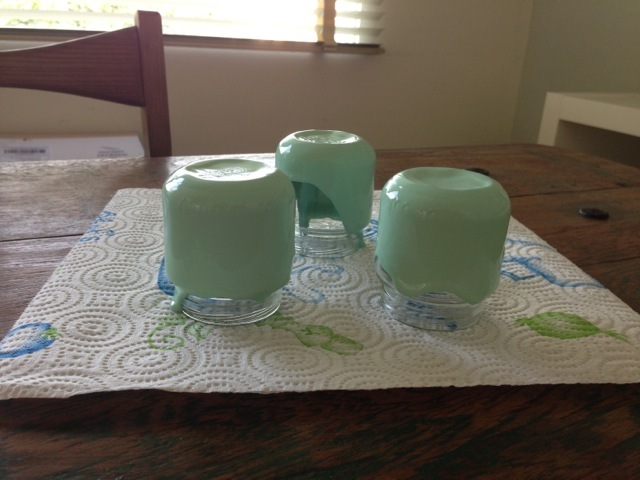 For the mint green I added some water to the paint to get more coverage on the jars. 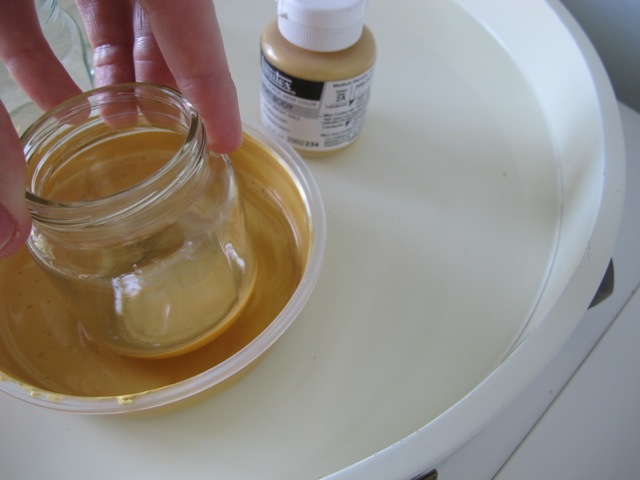 A little water goes a long way so be careful to add a teaspoon at a time. 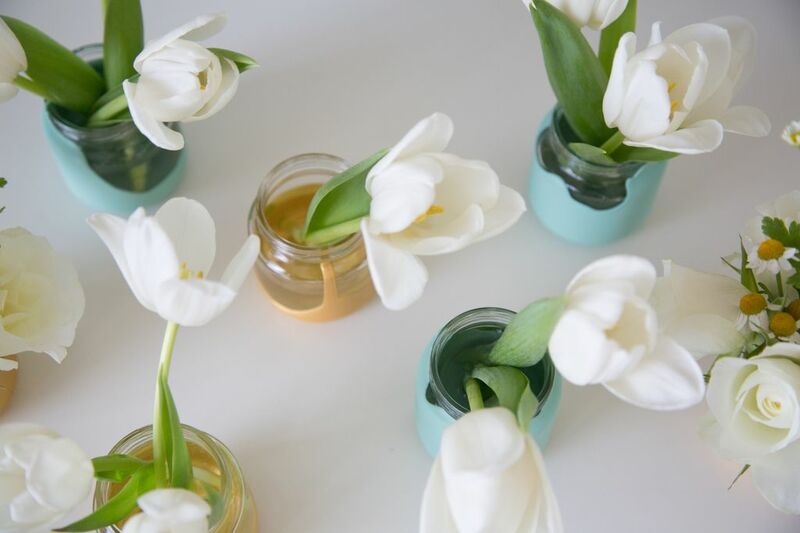 Once totally dry, fill the jars with water and a few simple blooms. 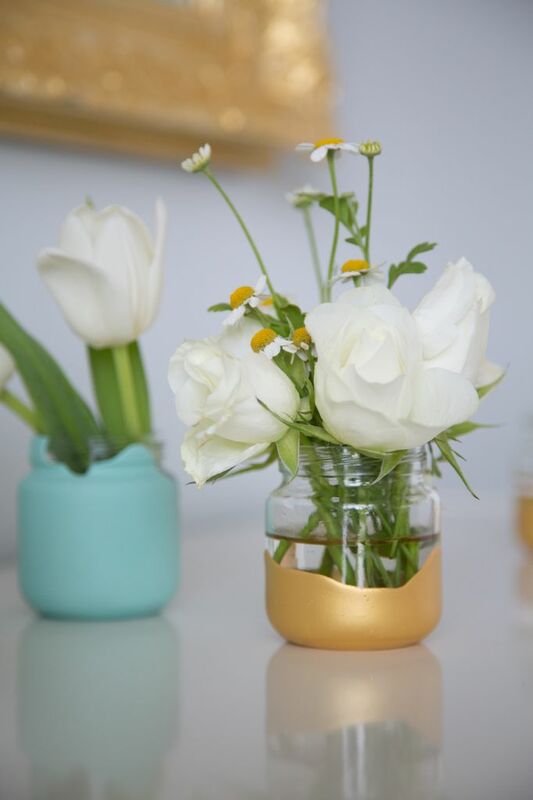 Simple white flowers looked fresh in the mint and gold jars. Roasting peppers seems easy. Until you have half the skin stuck to your fingers like wet paper and the other half still on the pepper, stubbornly refusing to separate. If you’re dealing with that specific frustration, you may have forgotten one important step. Let’s start at the beginning. To get a good char, you can do one of two things. You can place your peppers on a baking sheet lined with foil, drizzle them with olive oil and place them under the broiler, turning once until brown on all sides. Takes about 15 minutes. You can also drizzle with olive oil and turn directly over a gas flame until all sides are blackened and your peppers look like they do above. However you choose to roast, you’re now ready for the special step. It comes down to foil. 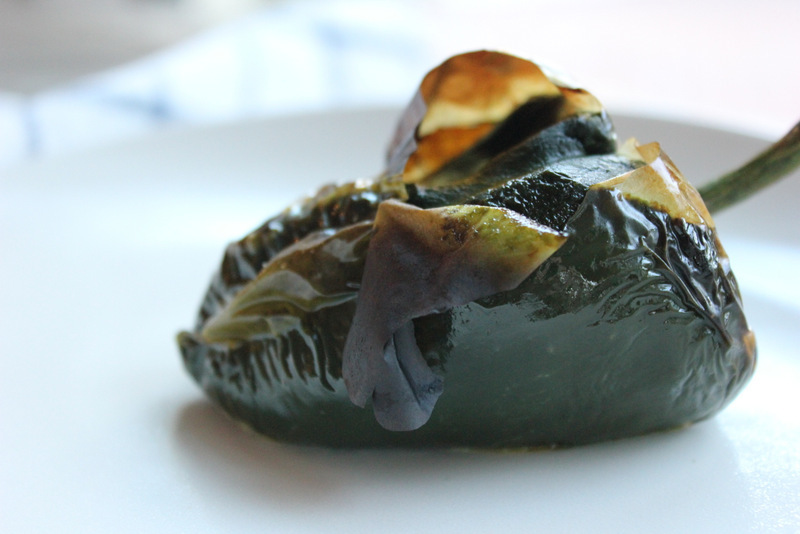 Place your hot, charred peppers in a bowl and cover tightly with foil. 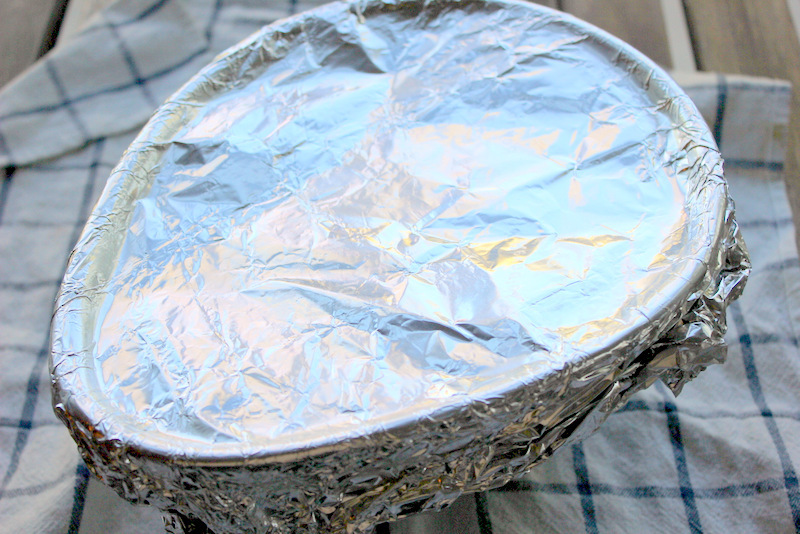 If you broiled your peppers, use the same foil that you used to line your baking sheet. 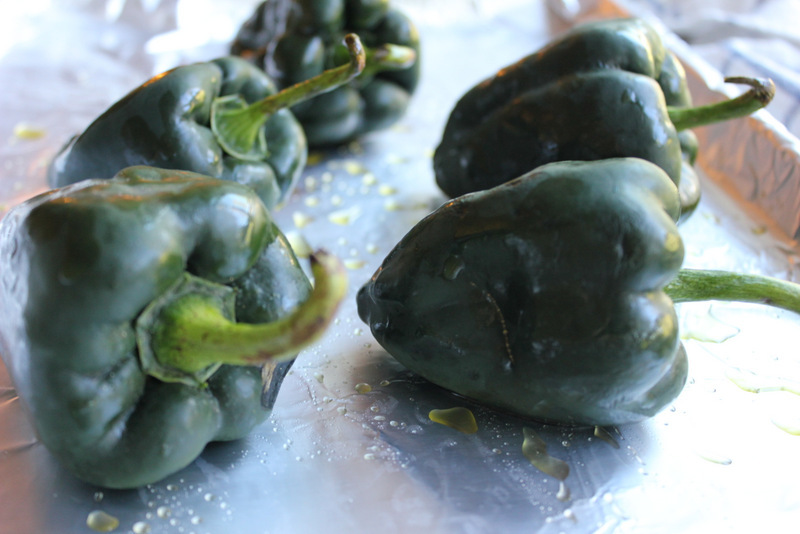 Cover tightly and let steam until the peppers cool, at least 30 minutes. 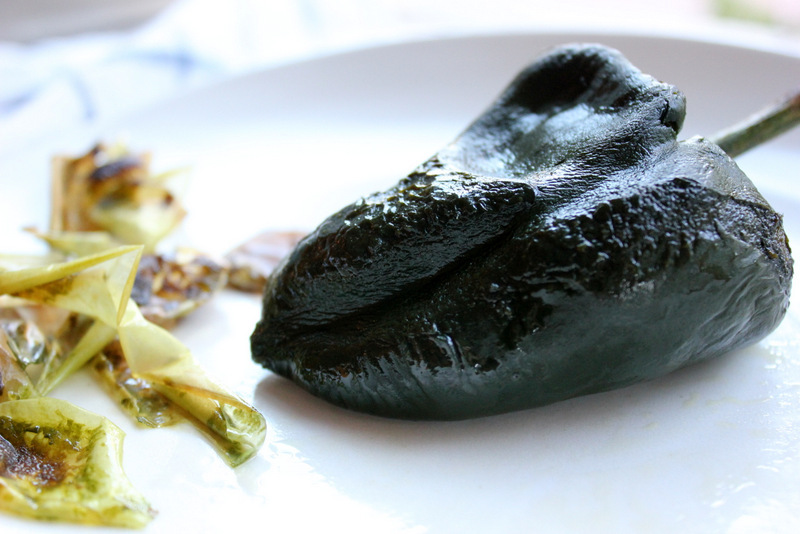 Steaming creates little pockets of air between the burnt skin and pepper flesh. 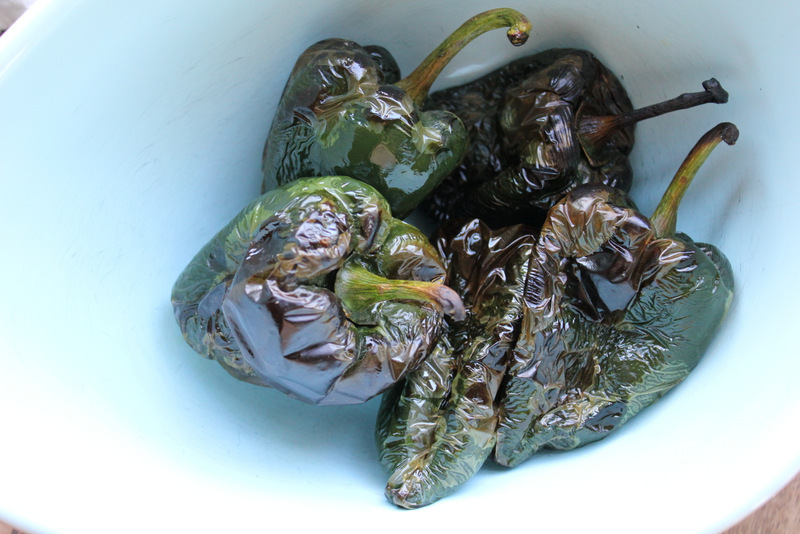 No need to tug or tear to separate skin from sweet, soft pepper. All you have to do is rip the skin and your peppers will peel easily. I warn you- it’s as addictive as peeling easy-to-peel nail polish. I’m stuffing these spicy pasilla peppers with grilled corn and pepper jack cheese and serving them with roasted salsa and sour cream. I’ll slice any leftovers for spicing up avocado toast. How will you eat yours? 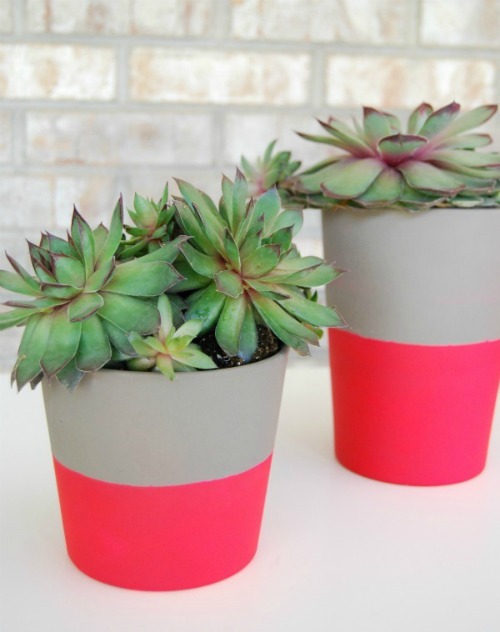 Terracotta pots? Boring. 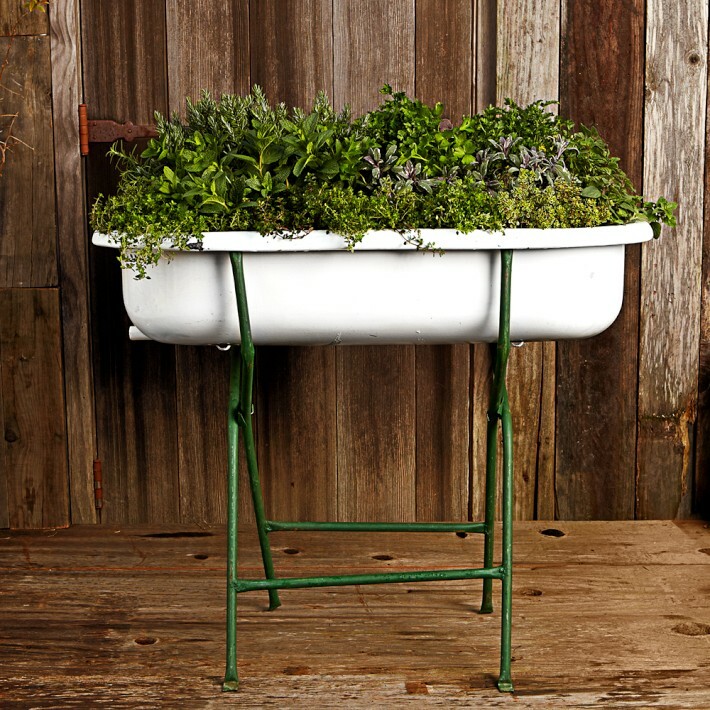 Something fresh and pretty like this vintage bathtub planter? Gorgeous but pricy. Which is a good thing because filling that tub basically constitutes begging the gods to strike my garden down. I haven’t the hubris to think I could keep that much greenery alive. Not with these brown thumbs. Maybe terracotta pots spray painted matte black? 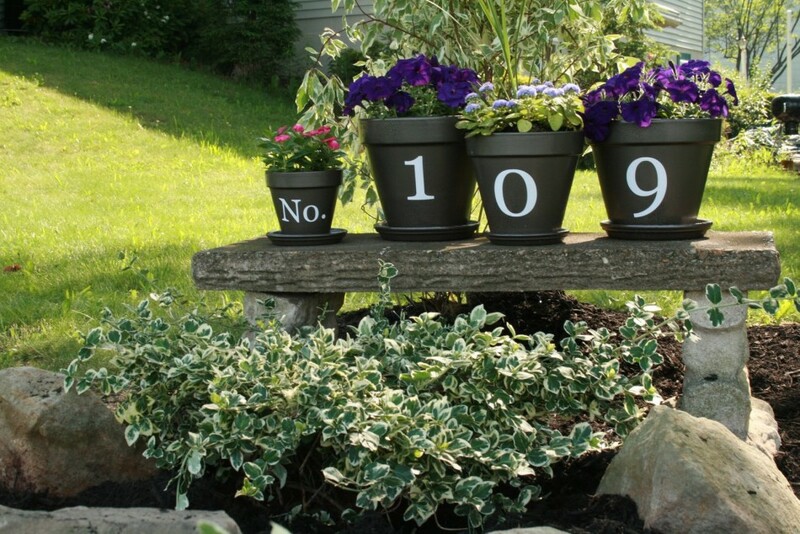 No numbers for me, just a row of clean black mugs topped with frothy green vegetation. Or some color-dipped cheapies? In pink! Or maybe turquoise? 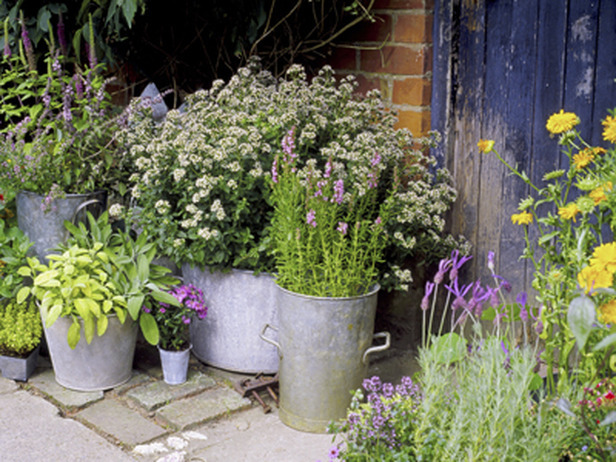 Or galvanized tubs in different shapes and sizes? An easy, inexpensive English look. Each image leads to the DIY. Thanks to all the ladies responsible for breaking me out of my terracotta rut. Which would you do? 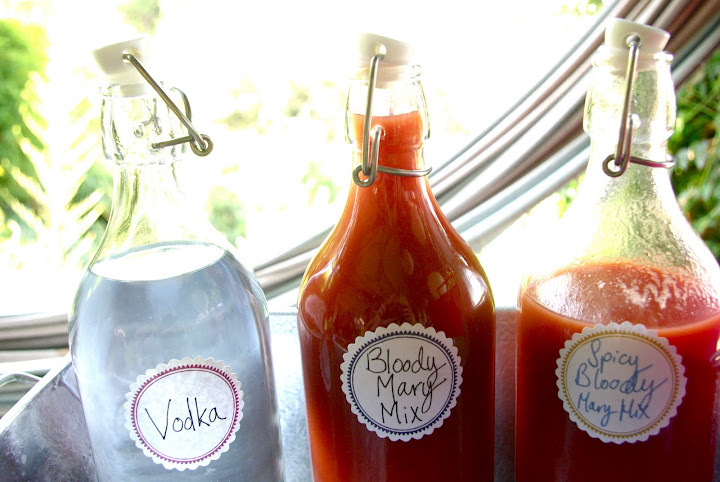 Once you have your base of Vodka and Tomato Mix then you need an array of garnishes. 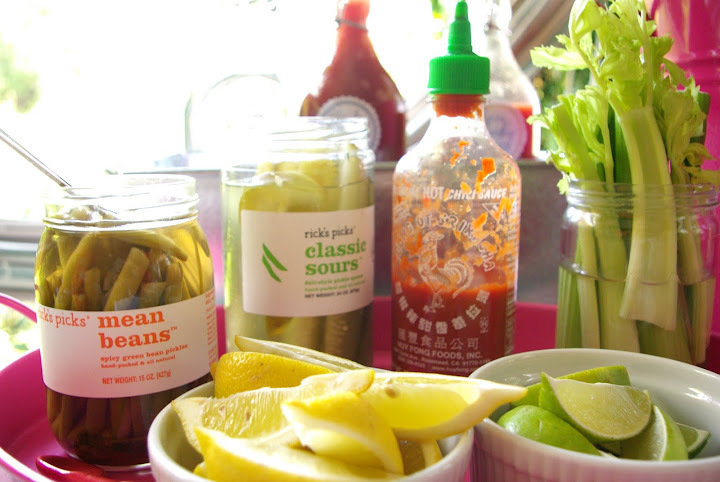 Lemon, limes, hot sauces, crunchy celery and a mix of artisan pickled vegetables. Wouldn’t this be a great gift? 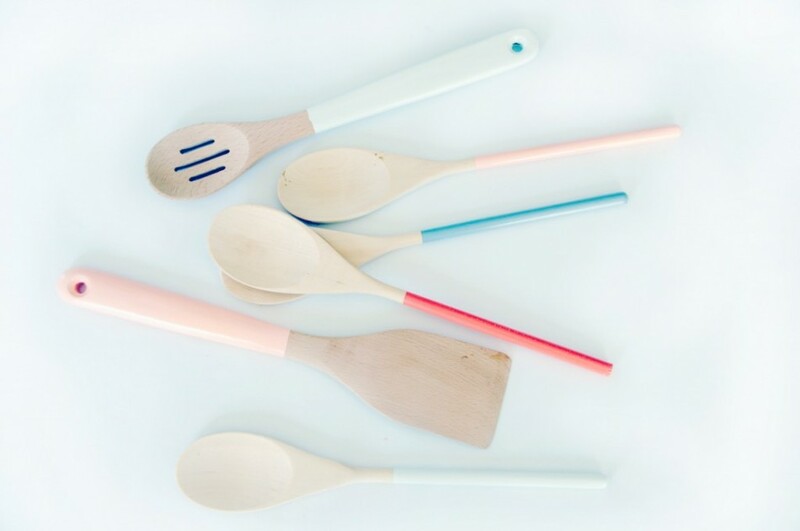 Dip some pretty wooden serving spoons into non-toxic colored paint. Maybe a whole set for friend’s wedding shower or just a pair for Mom on Mother’s Day. The ultimate in chic hostess gifts if you ask me. 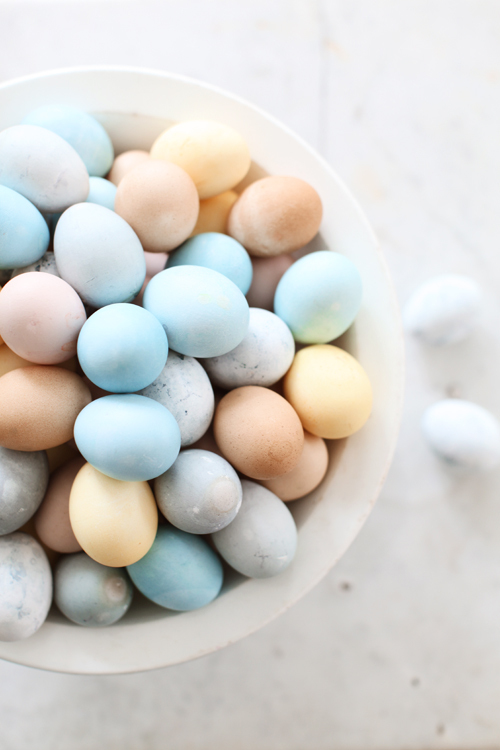 Are you dying eggs this year? 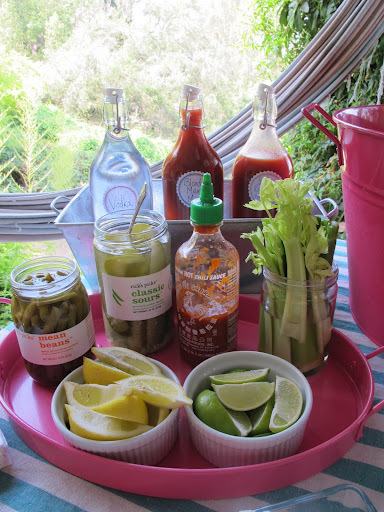 Skip the Paas and make your own veggies dyes. The colors are so soft and dreamy and there is something magical about making stains the old-fashioned way. How-to found here. 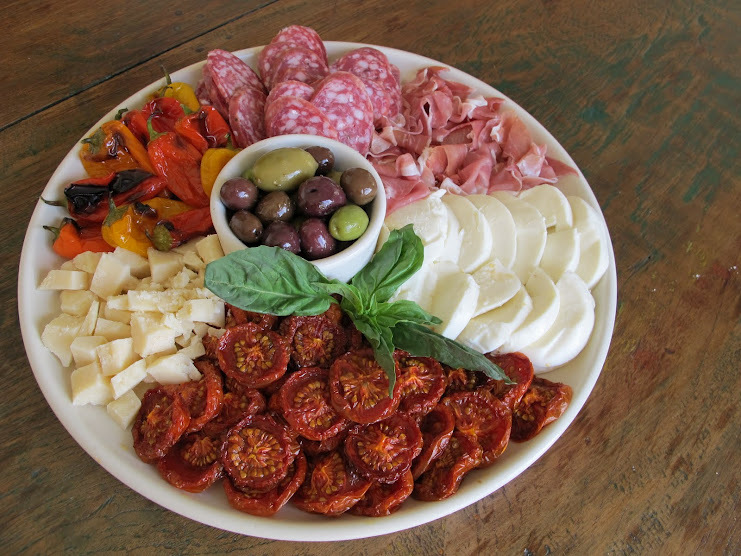 Step One: Go to the store and buy good quality Parmesan cheese, fresh mozzarella balls, assorted charcuterie (I like salami and prosciutto),small tomatoes, marinated vegetables, fresh basil and marinated olives. Oh and a good loaf of bread and some crackers or flat bread. Step Two: Make these secret weapon slow roasted tomatoes. Slice the mozzarella and sprinkle with salt. Crumble the Parmesan into big chunks. I could just eat this for dinner actually. A nasty little stomach bug knocked me down this past week and now that I’m up and eating again, the only food I can stomach is a crispy baked potato. I top it with a blend of olive oil and greek yogurt then sprinkle with sea salt, pepper and lots of chives. It’s my come-back-to-life meal. Scrub the potato under cold running water to remove any dirt. 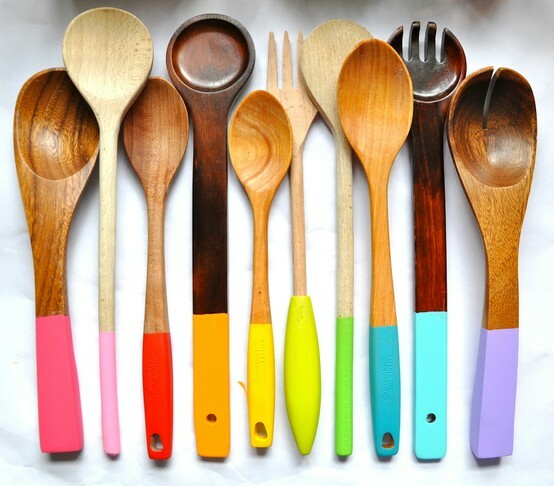 Pierce several times with a fork or knife. Drizzle with olive oil and lightly salt all over. This extra step guarantees a crispy skin. When your oven reaches temperature, place your potato directly on the rack. No foil needed! Bake until the skin is crispy and the insides soft and fluffy, about 1 hour 25 minutes. Top as desire. 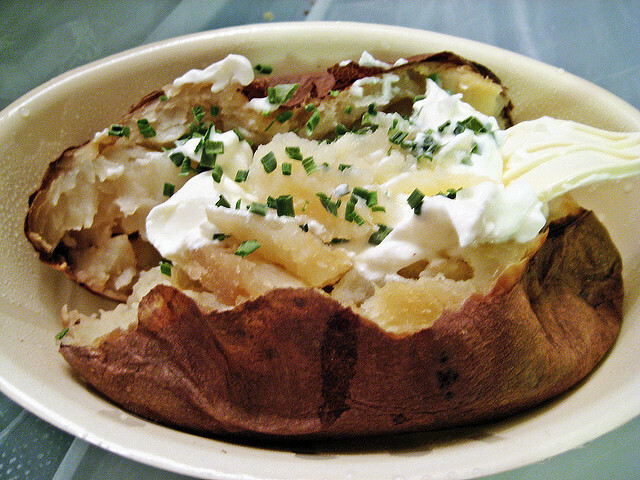 If you love a baked potato, check out this great party idea. Tell me, what’s your favorite get better food?